Some time ago reports first emerged on plans for a new animated series based on Tove Jansson's beloved Moomin characters being announced. Now it appears that the producers on this new adaptation have chosen to turn to crowdfunding to bring the new series to screens. The new series is being produced by Helsinki-based Gutsy Animation and will feature an impressive number of animation luminaries. Steve Box (an Aardman veteran) will serve as director and head writer, alongside cowriters Nick Ostler and Mark Huckerby, an Emmy and BAFTA-winning writing team who's credits include Shaun The Sheep and Danger Mouse. The first series is due in 2019 and will consist of 13 episodes. It's a little surprising to see this crop up as a crowdfunding project. 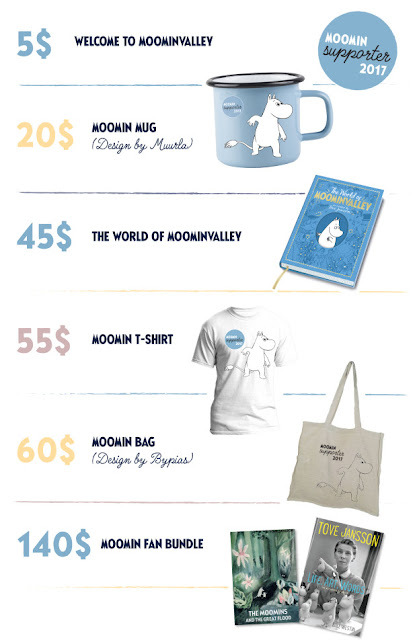 Surely a globally recognised brand like Moomin (and such an impressive creative team) could get backing easily? But higher profile productions using crowdfunding for at leats part of their budget is becoming increasingly common. If nothing else, it serves as a handy gauge of potential interest in a project, and proves there is an audience. The $200,000 that the campaign seeks is not enough to produce the series on its own, but is intended to fund the 'visual development'. The sneak peek we get at the concept art promises this is going to be pretty gorgeous, using a combination of 2D and 3D techniques. 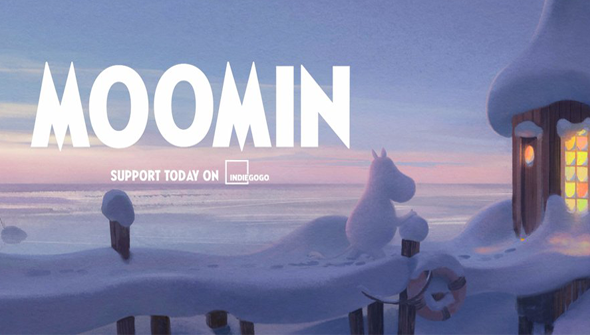 Moomin has been previously brought to life in stop-motion, hand-drawn and CG styles, so this will hopefully bring us the best of both worlds. Pledges start at $5 and rewards include mugs, postcards, digital copies and more. At the upper tiers there's the opportunity to become a 'fan producer', attend a premiere party or Skype call a producer on the series, For the truly adventurous, there's even a "Moomin Experience in Finland" for a cool $10000. Head over to the campaign page for full details or to pledge your support, today. The campaign runs until April 7th 2017.